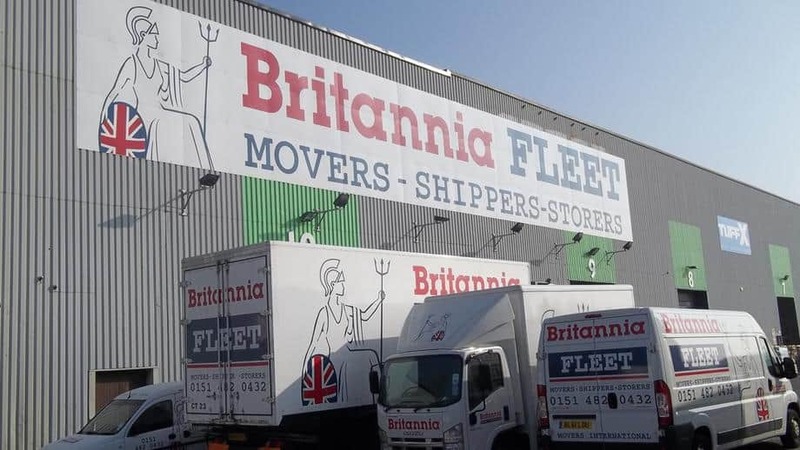 Britannia Fleet Removals & Storage are able to boast over 40 years experience, throughout which they have managed to grow exponentially and become a member of the largest group of family run removal companies in the country, Britannia Movers International. The progression of the company is understandable when you get chance to meet the driving force behind every move, the office team. Mal’s father owned and ran the company up until 2006, after which Mal took over the reigns. He started in his late teens on the vans, carrying out removals on a daily basis, gained great experience and unsurpassable knowledge, making him a great choice to be Transport Manager when necessary. He is not unlike his father in the way he is driven towards the constant improvement of the company, and all of its dealings. It was Mal who decided to move from Stretton Way, Huyton to newer premises on Randles Road, Knowsley. This move has drastically increased the amount of household and commercial storage they can hold, along with the 20 ton overhead crane, making it possible to load and offload 20/40ft containers as necessary. He has become a board member of the Britannia Movers Group, indicating how highly his opinion is regarded, and how priceless his knowledge and experience is. Hayley is Mal’s wife and has been working in the company for 33 years. She began as a Saturday girl, gradually moving her way to full time work and eventually becoming the Office Manager. She has gained valuable experience and oversees every single removal, ensuring a personal and professional service each time. Ever the professional, every single file gets audited by Hayley and she has an active role in the day to day running of the company. This makes it no wonder how she has progressed personally, as well as assisting the company progress, throughout the years. Terry joined the company in the role of porter in 1993, as Mal’s young nephew, gradually working his way to being a (not so young) Transport Manager in 2007. The years of involvement and wisdom gained from working on the removals made this a smooth and natural transition. Chris joined the company as a warehouse operative during the move from Huyton to Knowsley in 2007. He made the transition of moving to the office little over 3 years ago and is known for his hard work and quick wit. Amanda has been with the company since 2002 and has managed almost all of the international removals since joining. This has given her priceless knowledge with regards to customs clearance and any shipping queries, making her the preferred first point of contact for anything overseas. Hayley is Mal’s niece and began working for the company in 2006. She deals with general day to day queries, along with assisting with the scheduling and confirming details with customers, prior to their removal day. Ashley is Mal & Hayley’s daughter and has been working in the office since 2004. She deals with general queries and assists Hayley Wood with her role on a regular basis.